For the longest time, I have been trying to figure out what I should put in my window. It took me forever because every part of my room has to “go” together. I didn’t want blinds or curtains because I love the natural sunlight that comes into my room (and I mean all of the sun light… Wide open window) and I like the view from my room and I didn’t want to yank on blinds or shove curtains all the time. Also, they are the obvious choices of window accessories and I wanted something easy, different and unexpected to appear in my room. So I thought, why not a shade?… YES, a Shade! That’s it! Anyways… In short, I’m just picky lol. So, I ran into this video on youtube here where this girl’s room is really tiny, but it’s really cute. I don’t have a huge room, so I really appreciate videos like this (by the way, I love the size of my room, any bigger and I wouldn’t know what to do with it.). 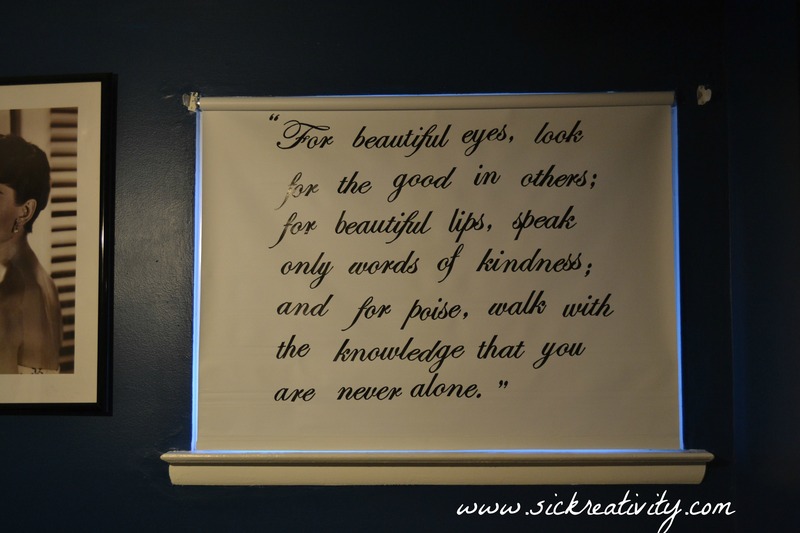 In her room, she had a roller shade where she put a quote on it from her favorite movie, and so I decided that was what I wanted to do, but a little different. I chose an Audrey Hepburn quote because I’m just obsessed with her. In a future post, I will show my room and you’ll see what I’m talking about, but for now, just the shade. So here we are FINALLY, let’s get to it. 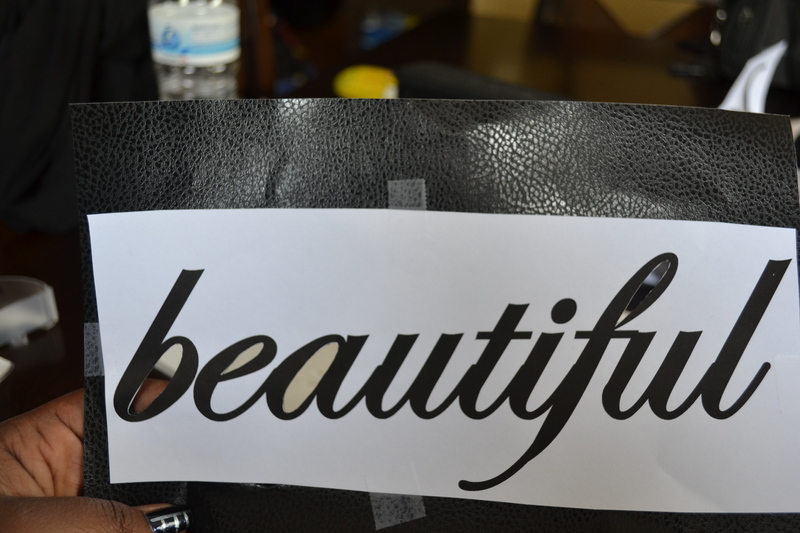 Step 1: First, you want to choose what your going to put on your shade, then choose your font and size and print it out. 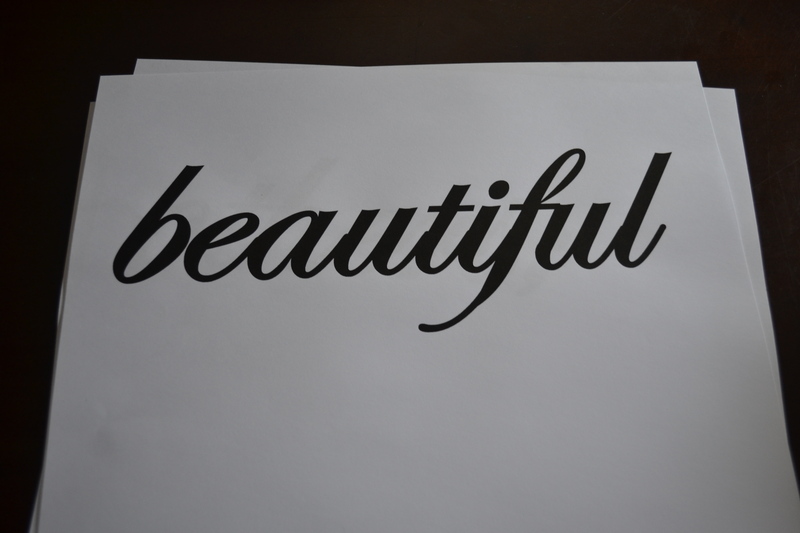 (I used Edwardian Script in size 300). 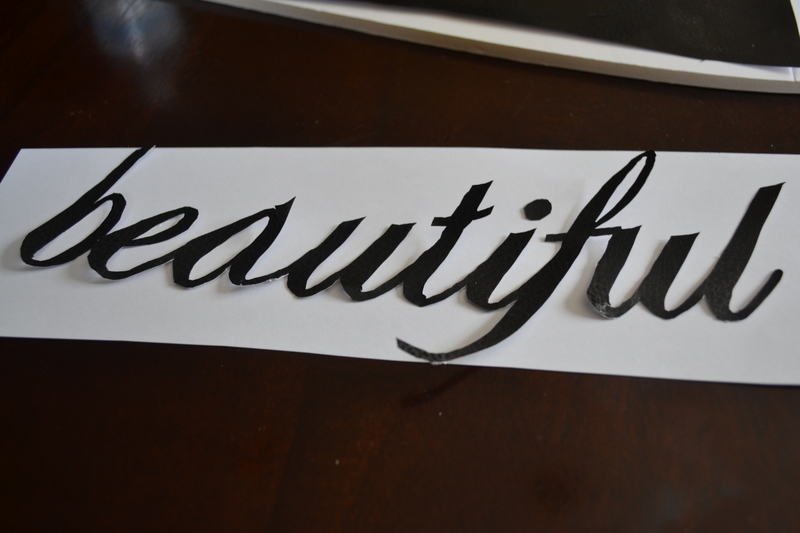 Step 2: Then, cut the excess paper around the word so that it can be more manageable. Step 3: Then cut some con-tact paper off of the roll. I placed it on top of some scrap foam board that I had laying around the house. Your going to need something under there so that your work table would get scratched up by the x-acto knife. 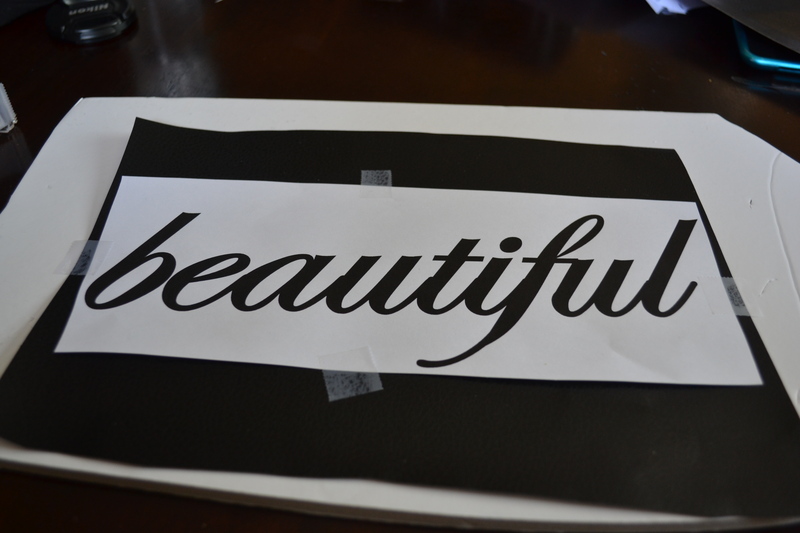 Step 4: Tape your word to the con-tact paper. 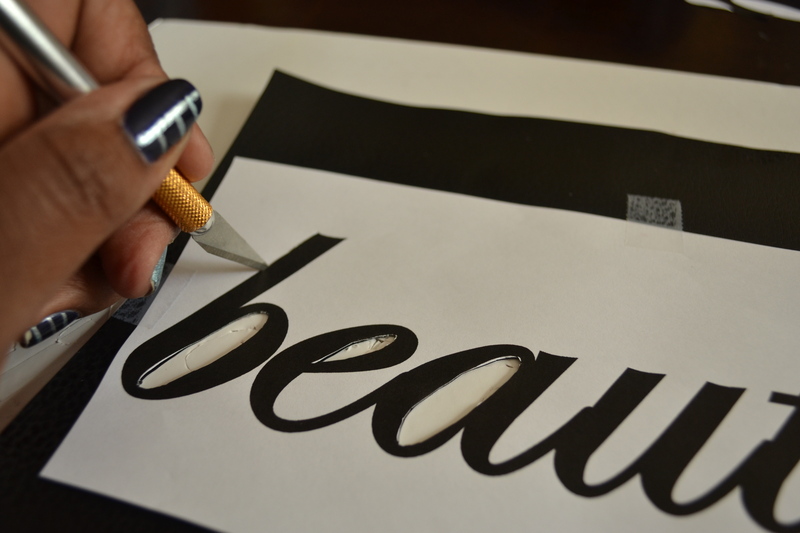 Step 5: Using your x-acto knife, cut out the center of the closed letters first. I found it easier to do this first, if you do it last the letters will move much more and it will be tougher to do. 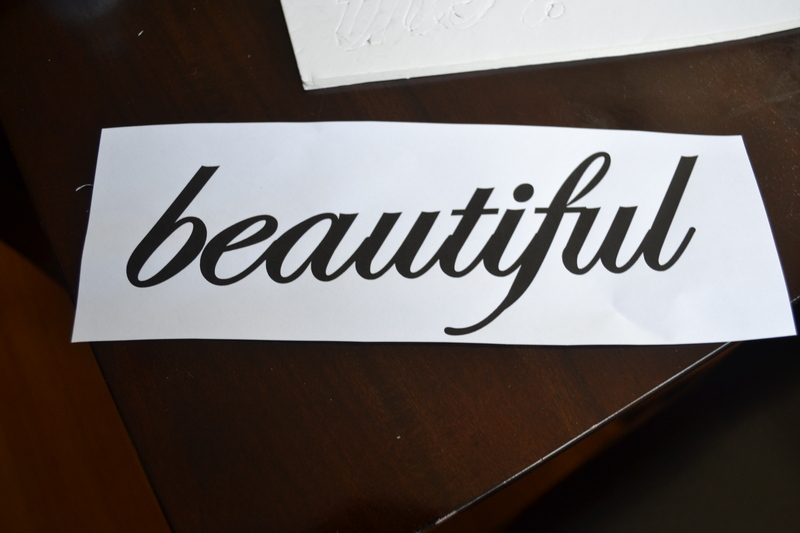 Step 6: Then, start to cut out your word. Your going to need a little of a steady hand and lots of patience. 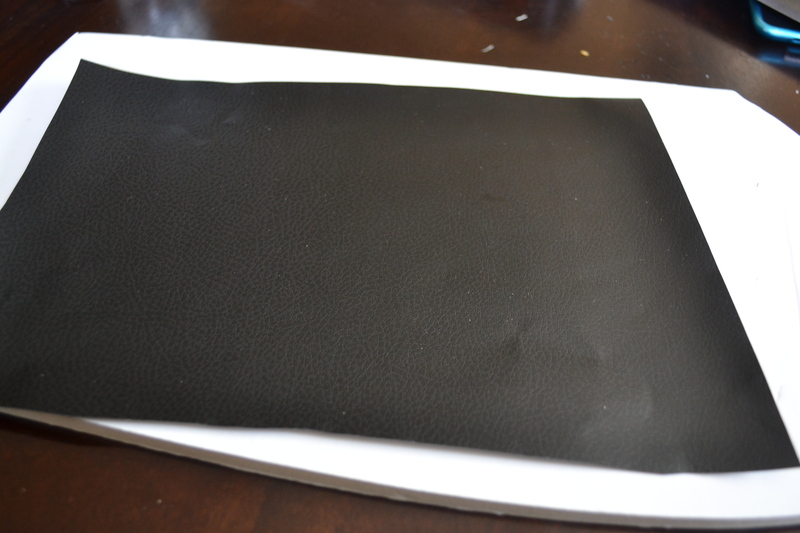 Step 7: When you’re done, peel off the paper and it should look like this. 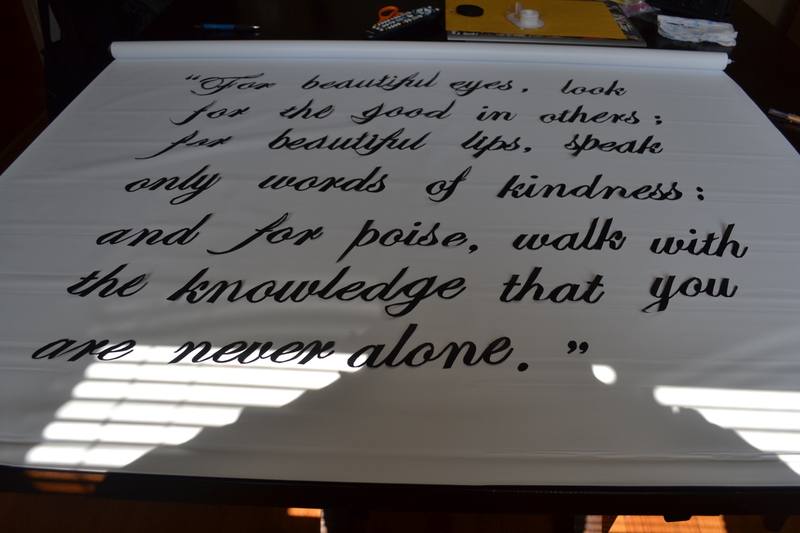 Step 9: After you have done this with all of your words, grab your roller shade and lay it out on your work area. You want to make slight marks on your shade showing where it would stop when the bottom of it touches your window sill, so you can have an idea where your want your words to be. 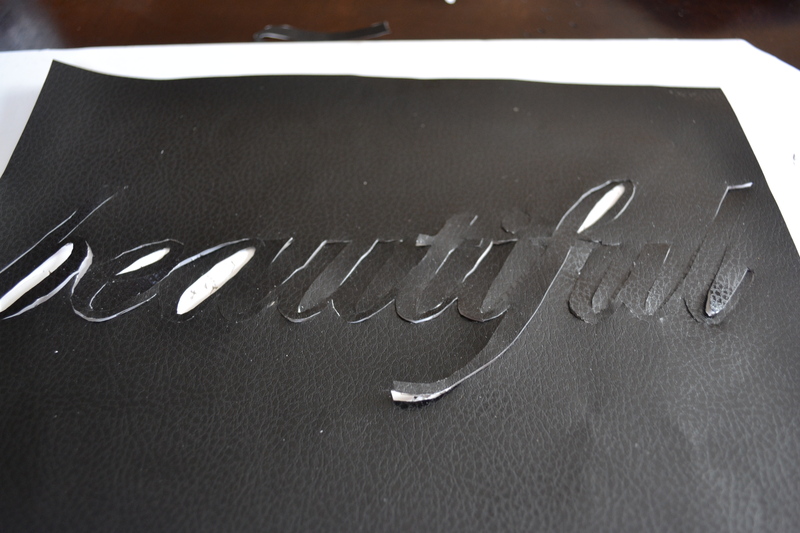 Step 10: Then, leaving the backing on your words, mess around with their placement. Step 11: When you are happy, stick them on the shade and hang up your roller shade. VOILA! !… It might have taken awhile, but so worth it.